While WordPress is by far the best website platform available, mistakes are commonly made when setting it up. 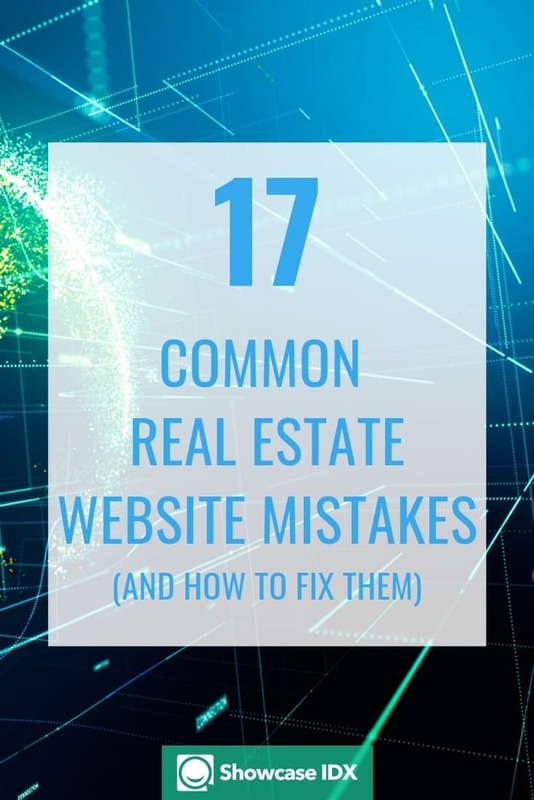 This guide will walk you through the most common mistakes made when setting up a real estate website using WordPress and how to fix them. Whether you’re a real estate agent, the marketer for a broker, or a digital agency working on WordPress projects, be sure to read this list of common WordPress blunders to make sure your next Realtor website launches quickly and serves as the hub for the next top producing agent in your area. Why WordPress should be your choice for your real estate website? WordPress is both an incredible website platform (content management system) and is simple to use once you have a quick understanding of it. While Wix and Squarespace can be great for a quick “business card” style website that simply shows an agents picture and their brief story, only WordPress allows for a site that truly offers the home search and consumer engagement tools that buyers and sellers expect today. WordPress can be quickly set up, sometimes in as little as a few days, not counting the approval from your MLS to access the listing data. After your site is up, anyone that can use Gmail can easily learn to add new content such as blog posts, community events, or neighborhood hotsheets. There are tons of free courses and Youtube videos that will walk through a new user. WordPress can easily handle millions of monthly visitors if the need arises. More than 33% of the entire internet runs on WordPress, and if you remove pure e-commerce sites from the list, the number is more than 50%. New York Observer, New York Post, TED, Thought Catalog, Williams, USA Today, CNN, Fortune.com, TIME.com, National Post, Spotify, TechCrunch, CBS Local, NBC, and more all use WordPress. In fact, WordPress powers 14.7% of the top 100 websites in the world. Now, as your traffic grows, your hosting needs will change but the important thing is that WordPress is built for both small personal blogs and highly popular sites. We’ve examined hundreds of thousands of real estate websites, and the vast majority of all top performing websites are all running on WordPress. It’s infrequent, if not rare, to ever find a Wix or Squarespace site ranking well for any region, city, or another local niche. Your website should be the central hub of your marketing efforts and client relationships. You’ve already taken the crucial first few steps in securing your domain name and setting up your website. 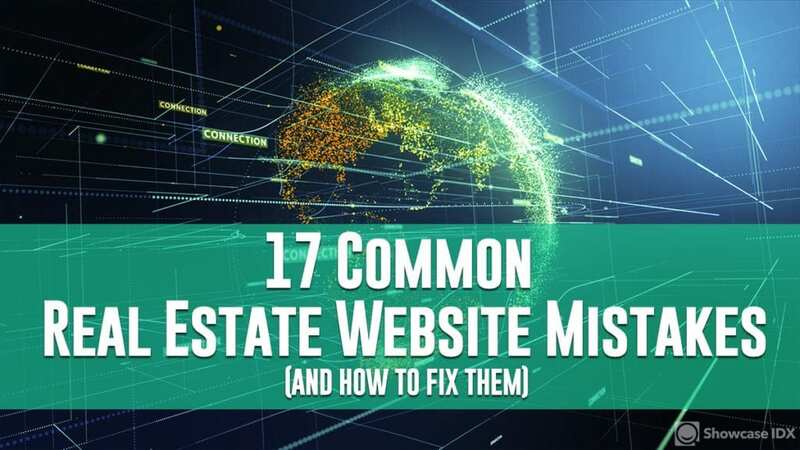 Let’s make sure you are truly prepared to be successful and take advantage of what is possible with a few quick fixes to mistakes we’ve seen thousands on thousands of real estate websites. So, how do we make sure you’re prepared to be successful with your personal site or the site for your team? Let’s walk through the most common mistakes we see and the fix for each one of them. There’s a huge missed opportunity to publishing a piece of content or creating a community focused hotsheet and having put little to no thought into search engine optimization (SEO). Google is constantly updating their ranking algorithm, and while there are thousands of factors that they consider, there are a few that have a large impact. To increase your traffic over time and get your content found by search engines, it’s imperative that you prepare your written content and images with search engines in mind. Make sure you are using only one H1 (header) tag on the page. Use several H2 or H3 (sub-headings) on each page to separate your content. Name your images with the keywords and/or title of the post. Make sure you use short paragraphs (1 – 3 sentences) and plenty of white space on the page. Google considers readability and the user experience as a ranking factor now. For a guiding hand on each page and post, install a WordPress SEO plugin like Yoast. They have a premium version that comes with a small fee, but most real estate sites will only need the free version. Yoast will give you a helpful checklist and set of tips to make your content more likely to rank on Google. Plugins are not Pokémon. You do not want to collect them all. Many so-called marketing or website experts incorrectly claim that adding too many plugins, even 5 – 12, will slow your site down. At best case, that is a simplistic view of plugins and WordPress that is often given to avoid walking a client through the much larger impact of using a discounted web hosting company (more on that later) or explaining how to choose quality plugins. However, adding too many low-quality plugins or even a single poorly optimized plugin can have a huge impact on your website. There are more than 40,000 plugins in the WordPress repository. Just because a plugin is available does not mean that it is secure, will do what it claims, or will perform quickly. Others, such as a MLS property search plugin or email automation plugin will frequently use highly optimized servers of their own to provide a lightning fast experience. Make sure you are intentional with your plugin choices. Wisely choose the plugins that you install, and uninstall the ones that you do not use. If you are using a plugin with a premium service that requires a monthly license, look at the reviews for that plugin and the company behind it. You want to make sure that if you have any questions or need anything that their support team will be there to answer your questions. Above all, ask yourself if the functionality from the plugin is really needed for your website. Ever work on an Excel spreadsheet or Word document and only after the application crashes or your laptop battery runs out do you remember that you forgot to save? Imagine writing a book and never pressing “save” on your manuscript. Failing to regularly backup your website is similar. You want to back up your site to not only give you a place to restore from but to also be able to avoid potentially months of downtime if something happened. We’ve seen hosts that claimed to have 3 different backups (1 for each of the previous 3 months) unable to restore a site due to their own bug. While we have a few hosting companies that we like and endorse, you’ll sleep better knowing that you have your own backup. Choose a hosting company that has an automatic backup of your WordPress that includes the underlying database, your WordPress theme, all settings, and uploaded files. Also, look for and install a backup plugin. There are a number of paid options, but you can also find some great free options that will save to your own Dropbox account. The default permalink structure for WordPress is NOT optimized for SEO. While you’ll want to optimize each post/page URL for SEO when creating the page, changing the default setting is needed to properly do that. The good news is that this is easy to do. To change the permalink structure in WordPress, go to Settings => Permalinks and choose “Post name”. If your site has existing content under another setting, you want to redirect old permalinks (URLs) to the new ones. There are free plugins that will help you do this, or you can search for how to do this with an .htaccess file and add the redirects in Yoast. Themes, plugins, and WordPress are all updated periodically for bug fixes, to add new functionality, and to correct security vulnerabilities. All software has some vulnerabilities but they are generally minimal and many times the internal team will find them before anyone on the outside does. Many of the updates from Apple, Microsoft, Android devices, and individual applications we use on our laptops and phones are to fix a combination of bug fixes and security weaknesses. Your WordPress site is no different. Make sure to keep your plugins, themes, and WordPress core up to date. Login to your WordPress admin. On your dashboard, next to “Updates” and “Plugins” there will be a number that appears if any of your plugins or WordPress core needs to be updated. Delete any unused and unneeded themes. There’s no reason to get notifications and feel you need to update files if your site does not need them, so remove them to reduce stress. If you do not login to your WordPress site very often (e.g. Our IDX and home search tools capture your leads and export automatically to a dedicated real estate CRM), add a recurring event on your calendar to login and look for updates every 2 – 4 weeks. One of the plagues that infected the real estate industry years ago was the use of iFrames and subdomains on real estate websites. Not only does Google dislike these but they frequently confuse consumers and can provide a poor experience on mobile. An iFrame is where content from another source or website embedds on your website. Think about adding a YouTube video to your websites. Whether you use the embed code from YouTube itself or use an “add video” widget from a visual builder in your theme, this content displays on your website kind of like a window. Imagine if you could put a magic window on an interior wall of a house that would show what was happening in another country. Why to never use iFrames? Google and other search engines know that this content is not on your site and therefore does not reward your site for that content. Too many iFrames on your site may even hurt your rankings. A subdomain is a string of characters that precedes the root domain and uses a period to separate them. In the case of www.YourSite.com, the “www” is the subdomain. If you have a home search on your site with a subdomain such as search.YourSite.com, then “search” is the subdomain. Many 3rd party technologies are limited in their capabilities and this is the easiest (or only way) they can add their content to your website. While there are reasons for larger websites to organize content with subdomains, this is almost never the case for real estate. Why to never use subdomains? Google considers a subdomain as a different website according to every major SEO expert. Google’s own Search Console requires you to set up separate profiles for subdomains. That’s another good indicator that they value subdomains differently. Therefore, if you have MLS property listings displayed through a search on search.YourSite.com, Google WILL consider this a completely different website than your main site at YourSite.com or www.YourSite.com. Unless you have the marketing budget of a major media organization like Disney or NBC, it will be very difficult if not impossible to rank your site well. If you’re building a new site, never use a marketing technology or anything else that uses a subdomain or iFrame. Adding a youtube video to a post or page, or even a landing page tool such as Infusionsoft or Hubspot, can be okay as you are not trying to rank those pages. However, if it’s content and a part of your website experience that is core to your clients’ experience, such as an IDX or MLS Property Search, only choose an offering that will work with your site as part of its core content. If you have an existing website that relies on iFrames or subdomains, begin creating a plan to migrate to a modern solution. Some new marketing solutions will even help you make the switch effortless. As an example, if you need help easily migrating another IDX solutions, the Showcase IDX can help you retain your community pages and even redirect your old pages that have ranked in Google to your newly updated website. If you need a new web developer, check out our list of Approved Real Estate Web Developers. You may be tempted to open an old post and change the URL when you’re updating it, but this is a place to show caution. When you change the post slug, you break all the existing links that may be pointing to that page. Any links to the old URL will lose traffic and provide a poor user experience that leads to a 404 error. Google will also consider the post URL a new page/post unless you do this correctly. Before you initially publish a post/page, make certain the post slug is the way you want it. If you know that you’ll update the post in the future, consider that in the post slug. As an example, if you page about 2019 Summer Events in Downtown Atlanta, instead of making the slug 2019-summer-events-in-downtown-atlanta, make the slug summer-events-in-downtown-atlanta. In addition, if you have installed Yoast SEO, it can automatically remove “stop” words and shorten the post slug, as well as provide additional tips for creating a good post/page slug. Images are critical to holding your reader’s attention, especially if it is a text-heavy article. Even normal articles perform significantly better with good visuals. Research shows that content with visual receives 94% more views than content without visuals. Plus, the human brain processes visuals 60,000 times faster than text, which can be extremely helpful if you’re explaining local real estate trends to a potential client. Canva.com is a great, simple, and free tool that will let you easily create visuals and find free photos for your website. If you are using a graphics editing software (tip: Keynote and Powerpoint can be used for this too), Unsplash.com provides thousands of high-quality, professional images for free that can be used for commercial purposes. Images are frequently the reason for a slow site. If you’re using a modern IDX and real estate consumer engagement tool, it will handle optimizing the property images and host them on a platform like Google Cloud (the same platform that hosts all of Google itself). However, for images you or your web developer are adding to your site, you should consider preparing your images before uploading them. This can be done with an editor like Photoshop, Preview on the Mac, or by using a plugin to resize images and reduce their file size. 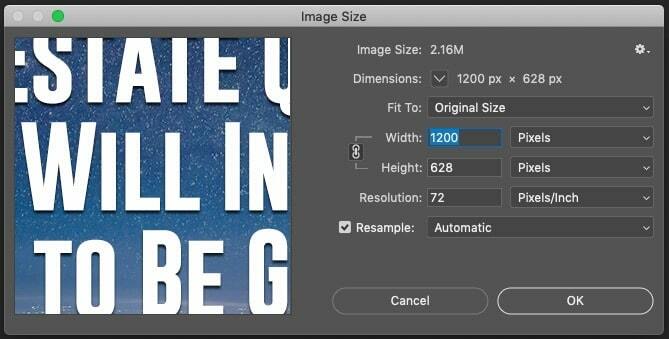 If you’re working in Photoshop, go to Image -> Image Size. Make sure the resolution is set to 72. You’ll want to reduce the width of the image if applicable to 1,800 pixels for wide full-size images or 600 to 1,000 pixels for regular site display. Having worked with tens of thousands of real estate agent, brokers, and web developers, a poor performing or bulky WordPress theme is often one of the hiccups that I’ve seen delay the launch of a new real estate website. This can often cause ongoing issues for the agent as well. Many people look for a “real estate” specific theme when buying a new theme or they read how easy the “visual builder” makes creating a new site. While there are some incredible WordPress themes, most real estate specific themes are bulky, may slow down your site unless you pay for a premium host, and can cause issues with the Property Search you’ll pick. Do not choose a real estate specific WordPress theme from one of the marketplaces where you can buy a theme. Also, be careful of many of the “lists” articles unless written by a web developer that has set up dozens (or hundreds) of real estate websites. While these list articles may be great for links to their article, they are generally written from a quick Google search rather than experience and research. Instead, look for a highly rated theme where people have specifically mentioned SEO and page speed. If you’re working with a solid web developer, the themes included in WordPress can be great as well, as much of the experience for your clients and lead generation are delivered by the IDX solution you add to your site. We also maintain a list of the best theme for agent, real estate team, and broker websites. We have reviewed thousands of WordPress themes and are able to see the themes that work well for tens of thousands of agents and Realtors, as well as those that may cause you a headache. Just ask our concierge team for the updated list. Many agents and Realtors think of Internet Data Exchange (IDX) as adding home property search to their site. That’s close. In fact, IDX (also called Broker Reciprocity) is a set of guidelines from NAR that “gives MLS Participants the ability to authorize limited electronic display of their listings by other Participants”. Property search (advanced or simple, what search criteria, etc.). 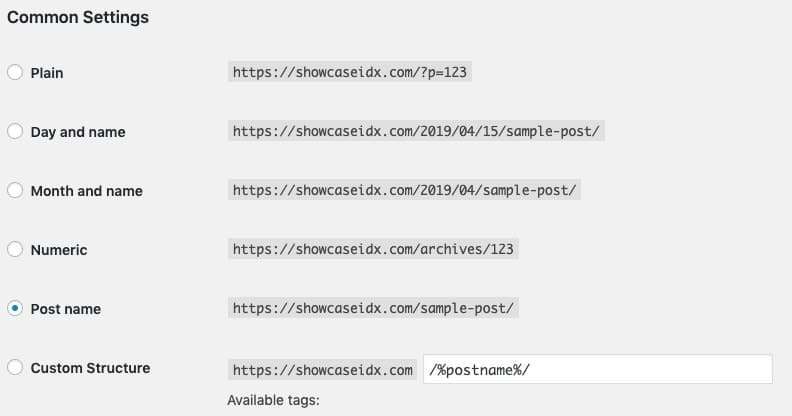 As mentioned above, many older or less-powerful IDX solutions use iFrames or subdomains to add these tools to your site. We’ve also seen agents left without a working site by choosing a company that enters real estate to chase an opportunity and then shuts down after a few months or years, leaving agents with a broken website. has a support team that is available to answer your questions. If you’re looking for a community of agents across the country to learn marketing tips and share what is working best for lead generation, Showcase IDX has an active group of incredible agents and brokers that you won’t find with any other provider. Many themes come with a child theme and a parent theme. The child theme takes the functionality of the parent theme and tweaks from the child theme. If you update the parent theme, you could be causing headaches for your site. Updates from the theme developer will generally overwrite any of your additions. The safest way to update a theme is with a child theme. This allows you to make changes without ruining the original theme’s code and will ensure your changes are not lost. WordPress creates the username “admin” by default, which can be troublesome for security. Hackers know this and this makes it easier for them to take control of your website. During your initial installation, you’ll be given the opportunity to change the admin name to anything else. If you’ve already setup your site with the admin name, you can still change this. 1) Log in as admin 2) Change email address 3) Create new administrator account 4) Log out and log in as new administrator 5) Delete original admin account 6) Associate all admin account posts with the new administrator. Many of us will use a weak password or one they’ve used on other sites because they do not want to forget it. However, the easier your password is for you to remember or if another site using that password becomes compromised, the easier it will be for hackers to guess your password and gain control of your website. Change to a strong password that includes a minimum of 10 characters, an uppercase letter, a lowercase letter, a number, and a special character. There are several great password management applications that can help you generate an ideal password and store them for you. You wouldn’t give just anyone keys to your car, and you shouldn’t give just anyone the keys to your website. While you may need to provide temporary admin rights to a support team, be mindful of who you give admin rights too. Login to your WordPress dashboard, go to users, and review the roles and permissions for each user. You can also use a plugin like User Role Editor to add additional functionality for restricting access if needed. WordPress’s setting can impair search engine’s ability to discover content on your site. While this can be great when you are initially building your website, you will want to ensure a particular box is NOT checked when you ready for a larger audience to find your site. In your WordPress dashboard, go to Settings => Reading. Make sure that the “discourage search engines from indexing this site” is NOT checked. We know it’s important to keep expenses low and make sure you’re getting a great ROI (return on investment) for the money you invest in your website. We’ve seen many agents and brokers mistakenly opt for an uber-cheap (or budget) hosting for their website. You may choose a great IDX solution, client engagement suite, and domain name, but if you’re using a budget host, it’s like putting cheap fuel in a Lamborghini. Some budget web host will provide poor performance for your clients and can even cause downtime for your site and business, which will cost you money in the long run. You do not have to spend hundreds of dollars per month on a host to get great performance, but you may have to spend more than $5 – $10. You want your hosting provider to be tailored for WordPress and to offer services like uptime guarantees, security, stunning customer support, and more. These are the most common WordPress mistakes we see that hold back agents and broker from creating a great foundation for their marketing hub. Have a question on one of these or another? Shocked by any of these? Did you find these useful? Please let me know in the comments below. I read every single question and comment. I’m happy to help where I can and your feedback will help shape my future articles and videos.